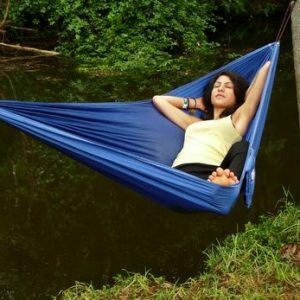 If you like to relax, but hate the bugs, this is the hammock for you. 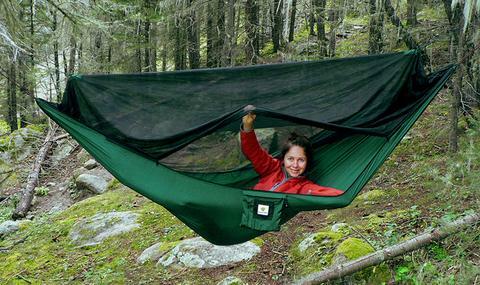 100% nylon mosquito net is supported by 100 inches of attached cord. 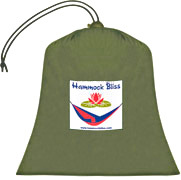 Store the attached cord in the handy Velcro pouch at the top of the mosquito net. Easy access into the “bug free zone” with double sided YKK zippers. 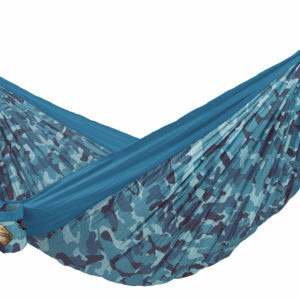 Reversible – just flip the hammock to use without the mosquito net. 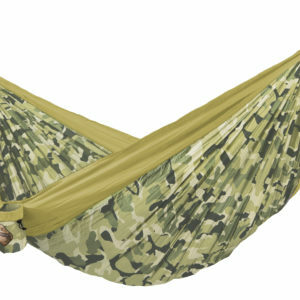 Compact and lightweight – weighs only 25 oz. 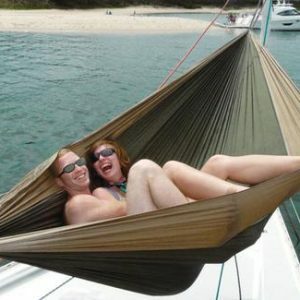 100% nylon parachute silk – to resist rot and mildew. Complete with 100 inches of 6 mm nylon climbing rope sewn into each end for hanging. Fits into an 9 x 10 inch attached stuff sack. Stuff sack doubles as gear pouch. Body size – 9 ft. 10 in. x 4 ft. 9 in. Strength tested to 350 lbs.